In a highly individualist culture, where competition and the importance of winning is taught from an early age, we tend to forget about the importance of collaboration. The concept of collaboration was a subject discussed in detail at The Create & Cultivate Los Angeles conference and it really allowed me to reflect upon collaboration in my own life. At Create & Cultivate, I met many women who essentially do the same thing I do. To a competitive-driven individual, some would view these other women as my competition, however, I view these other women as those I can lean on for support, business knowledge and partnership. Don’t get me wrong, I’m competitive. Very competitive. However, I know where my strengths lie and where they do not. Through collaboration, I can work with other women to help amplify my strengths while also helping them strengthen theirs. Women can accomplish amazing things when they come together and support one another. 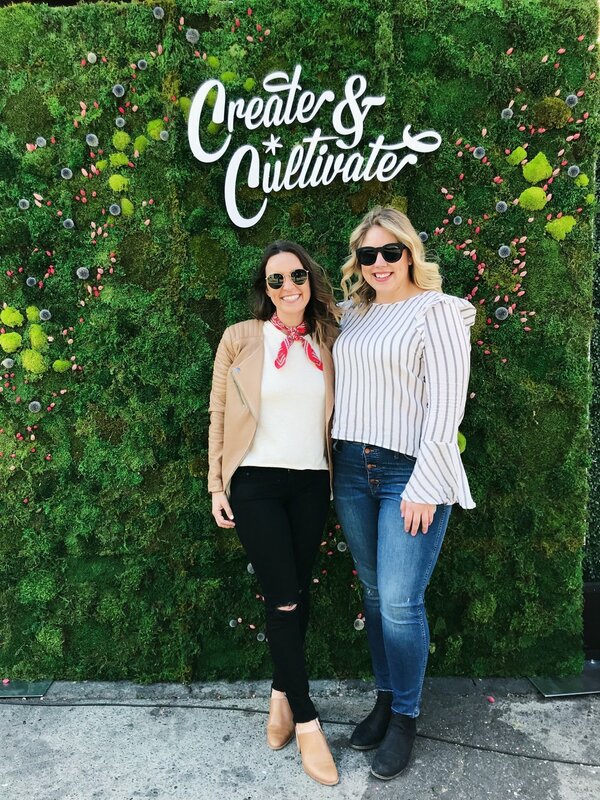 This is proof in the 1,200 women in attendance at Create & Cultivate and through the many powerhouse business women and entrepreneurs who took the stage throughout the event. If there’s one thing I’ve learned when taking the leap from the 9-5 world and into the freelance world of consulting, it’s proof that other women support other women. Contrary to popular belief, women do have eachothers backs and we do want to see others succeed in the business world and beyond. After all, we’re in this together. Now for the fun stuff, here’s a little behind the scenes from Create & Cultivate plus all my new lady boss friends.